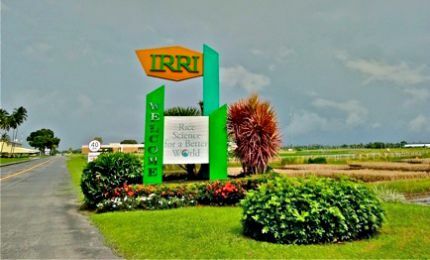 The Department of Tourism (DOT) has accredited the Rice Science Museum of the Philippine Rice Research Institute (PhilRice) as a tourist facility and as a Local Government Unit-licensed tourist establishment. With the accreditation, the Rice Science Museum became the only DOT and LGU-listed tourist facility in Nueva Ecija registered in the http://visitmyphilippines.com, a DOT-maintained website. In Central Luzon, the Rice Science Museum shares similar accreditation with the Aquino Center and Museum in Tarlac City. Located at the PhilRice in the Science City of Muñoz, Nueva Ecija, the museum showcases rice science, art, and technology through material culture of rice-farming communities in the country, labor-and cost-reducing machines, and rice seeds. Collections covering the species found in the rice environment, rice ecosystem, rice grains, and art works are also part of the museum’s exhibits. Charisma Love B. Gado, PhilRice senior science research specialist and activity facilitator, said that studies around the world have shown the indispensable role of museums in the society owing to their educational value through informal learning and discovery. “One of our studies showed indicators that farmers are learning from the museum during their visits. They discuss the contents with their fellow visitors; they can connect the contents with their experiences in everyday lives; and they can share what they have learned to their fellow farmers,” she said. Just recently, the Rice Science Museum, in partnership with the Museo Pambata, went mobile in order to encourage children to build a career on ensuring the country’s food supply. In the "Paglaki ko, gusto kong maging..." activity of the Philippines' premier children's museum, eight to 12-year-old pupils in Metro Manila imagined themselves as agriculturists in the future. Meanwhile, the Rice Science Museum has thus far opened three exhibits titled, Lovelife with Rice, Abundant Harvest, and Colors of Rice. Colors of Rice, which focuses on the health and nutrition aspects of rice, will run until February 2016.